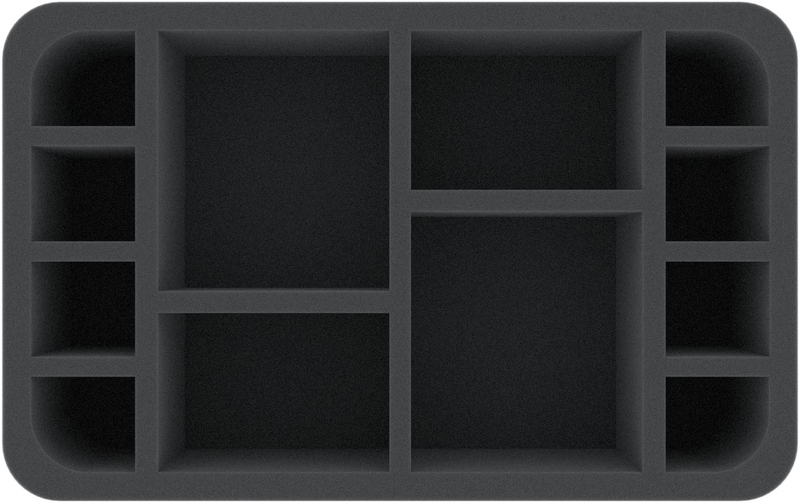 The 12 compartments on this Half-Size foam tray are divided into three different sizes. 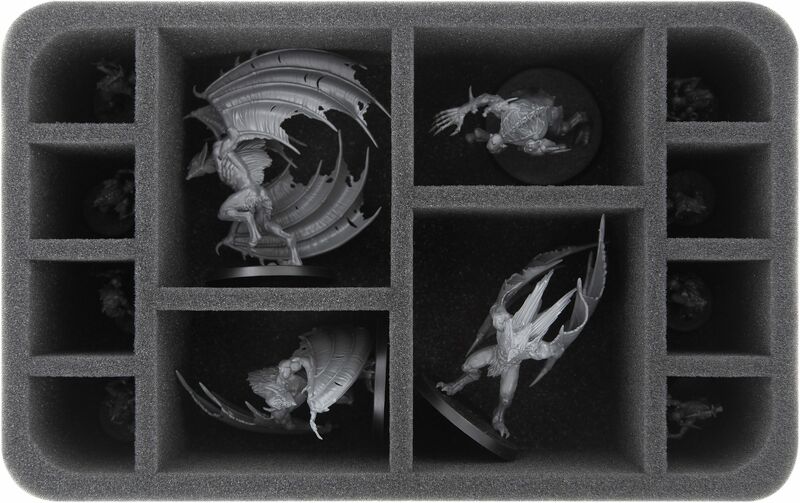 The insert is suitable for larger ghouls, as well as for small miniatures. Two compartments are optimal for the winged Crypt Infernal Courtier, the medium-sized ones can be filled with Crypt Horrors, for example. In the eight small compartments you can safely store and transport miniatures the size of Crypt Ghouls. 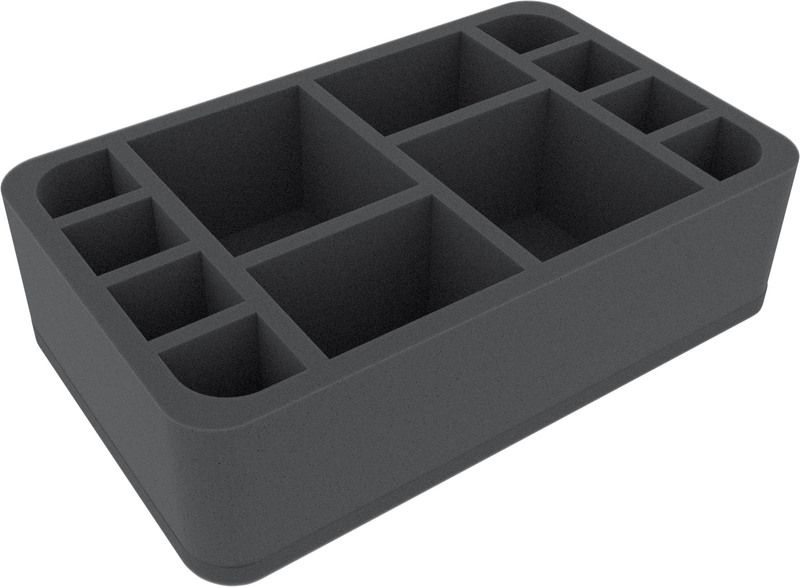 This foam tray has the dimensions: 275 mm x 172 mm x 75 mm total height (65 mm usable height + 10 mm foam base).